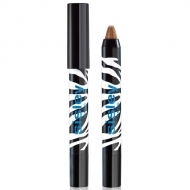 Provides an easy and flawless eyelid makeup. 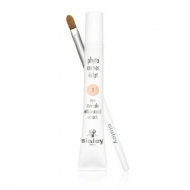 DESCRIPTION: Pinceau Ombreur from Sisley is an ideal brush to create a smoky eye with ease. With its round, dense and firm shape, this brush allows the application, mixing or intensification of all types of shadows. Its incomparably soft straight and synthetic bristles have been specifically designed and selected for an intense color result, but also for blending colors, perfect for a smoky eye. Can be used with Phyto-Cernes Éclat for added coverage.